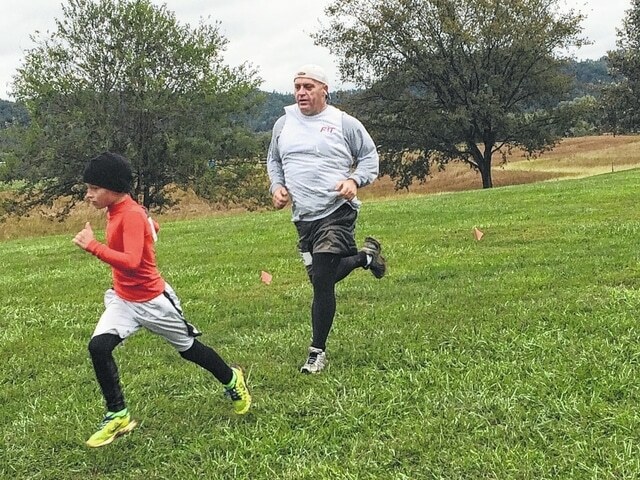 Wayne Allen | Daily Times The cold weather and rain did not stop 69 people from participating in the seventh annual Natural High 5k run/walk on Saturday. The cold temperatures and rain did not stop 69 people from participating in the seventh annual Natural High 5k run/walk on Saturday. Proceeds from the event help fund a summer outreach program for kids. The top finishers in the race were Eli Gerlach with a time of 16:34 and Haley Lykins with a time of 20:59. The 5k run/walk was held in conjunction with a fitness festival scheduled to take place throughout the day Saturday. Events associated with the fitness festival included Iron Body Boot Camp, Yoga in the park, River City Knocker Balls and massages. When asked why the event was expanded to include a fitness festival Melissa Whitt, event spokeswoman said, “there are just so many new avenues (for fitness). There are so many people that have various interests, we wanted to incorporate all of those interests and we want to bring something in for everyone,” Whitt said. As the day and the fitness festival progressed it was determined the Zumba Fitness Class would be rescheduled because of the weather. Proceeds from the event will benefit The Counseling Center’s, Summer Outreach Club. She said because of fundraising efforts, participants of the Summer Outreach Club do not have to pay for activities. “This is one of our main fundraisers; we also have a celebrity chef dinner. These two (events), fund summer outreach,” Whitt said. It’s estimated the event brought in more than $5,000 for the Summer Outreach Club.